Per a bombshell report, Trump's son-in-law, Jared Kushner, had been rejected for a top secret clearance by two career White House security specialists before Carl Kline, director of the personnel security office in the Executive Office of the President, took the unprecedented step of issuing a top secret clearance anyway. The initial rejections came as the result of an FBI background check revealing that Kushner could be susceptible to foreign influence because of "his family's business, his foreign contacts, his foreign travel and meetings he had during the campaign," according to NBC News. 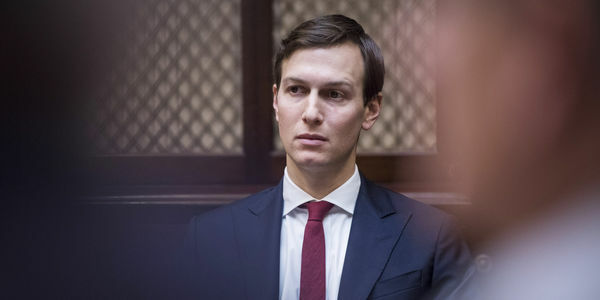 So ill-equipped was Kushner for any clearance that the CIA, upon receiving his file after it had been approved by Kline, reportedly "called over to the White House security division, wondering how Kushner got even a top-secret clearance," according to a source. While Trump may be keen to put our national security at risk so that he can imbue his kids and family members with unearned power, there is absolutely zero excuse to have put American lives in such grave danger for such glaring nepotism. We, the undersigned, demand the Jared Kushner's ill-gotten security clearance — whether top secret or otherwise — be immediately revoked in light of his myriad vulnerabilities. Our national security is not worth the risk of a novice and potentially compromised son-in-law to the President having access to our nation's most secure information.